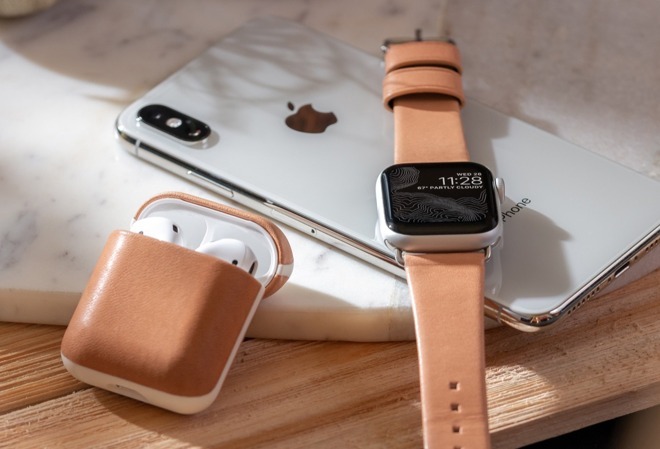 Accessory maker Nomad has taken the wraps off its latest accessories —a modern leather Apple Watch band and an AirPods case both in a new natural leather finish. AppleInsider has reviewed both Nomad's excellent Apple Watch straps and relatively new AirPods Rugged Case in the past and was keen on the high quality of the leather used. 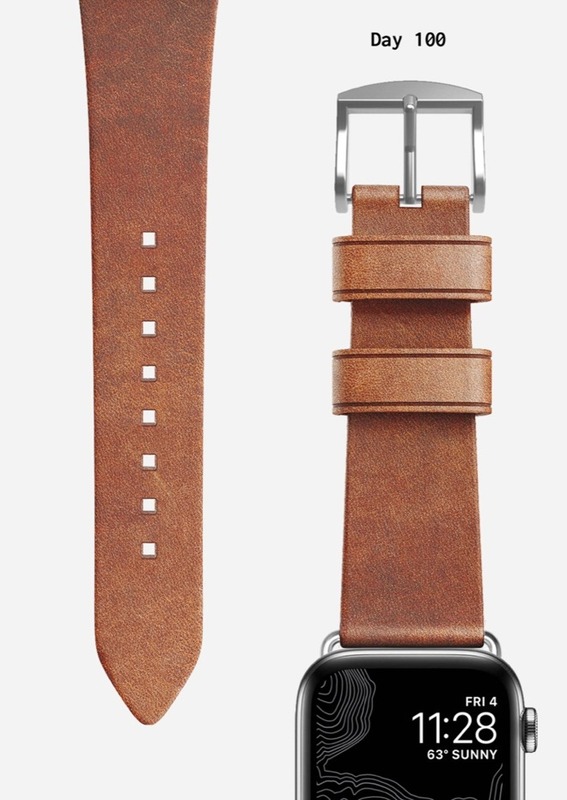 As it ages, the Horween leather used in both the case and strap develops a rich patina, unique to each person. Out of the box, the band and case look a little light, but Nomad shared photos of the band after months of use and it differs drastically. Nomad's products traditionally skew more masculine so these new bands add a bit of neutral touch to appeal to a broader audience. The band will be available in either gold or silver hardware exclusively for the 38/40mm Apple Watches. Both the band and the AirPods case are available to order now. The band will run $59.95 and the AirPods Rugged Case will run $29.95.